It’s been five days and a lot of festive fun since we had our final service of 2017. We’ve had a brilliant year, from local award to new team members, so we’re excited about what’s to come when we’re back on 16th January! Big thanks to all our guests for joining us for our South Coast Tasting experience, as the Brighton restaurant scene continues to grow. Here are some of our highlights… hope to see you in 2018! 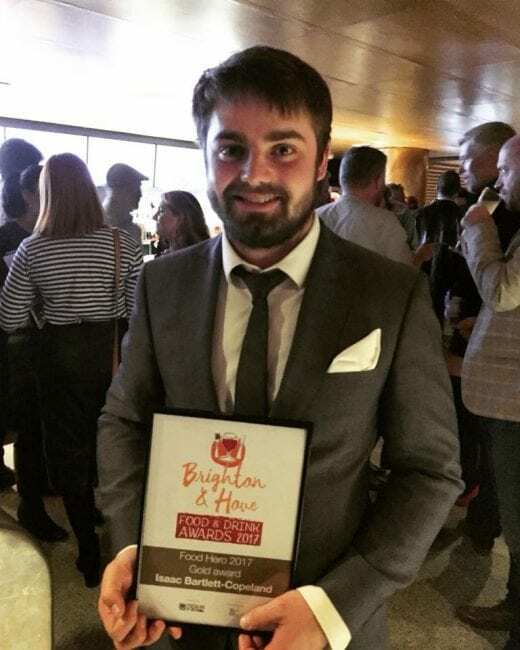 Isaac was chuffed to be named as the Brighton Food Hero at the Brighton & Hove Food & Drink awards this year. 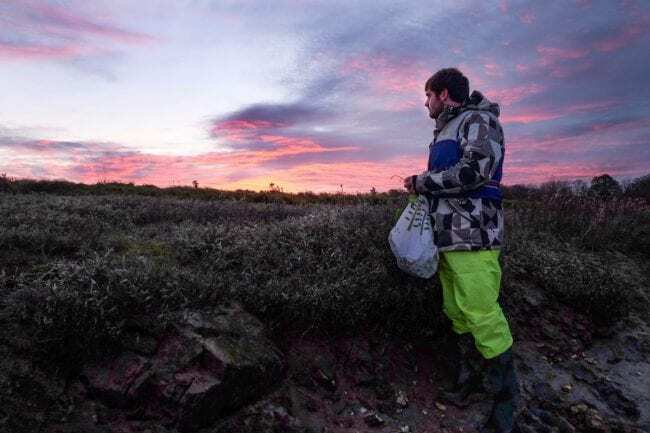 Our ethos at Isaac At has always been about championing local food and wine, getting to know our local producers and making sure we showcase the high quality of ingredients we are lucky enough to have here on our doorstep! Winning this award was the icing on the cake. Our 1st birthday as a permanent Brighton restaurant! In September we celebrated our first year of trading as a permanent restaurant, now open five days a week! It’s been a lot of hard work, but so worth it to see the team grow and so many new dishes and flavours created in the kitchen. Here’s what local food blogger Foodie Eshe thought of our celebratory menu. 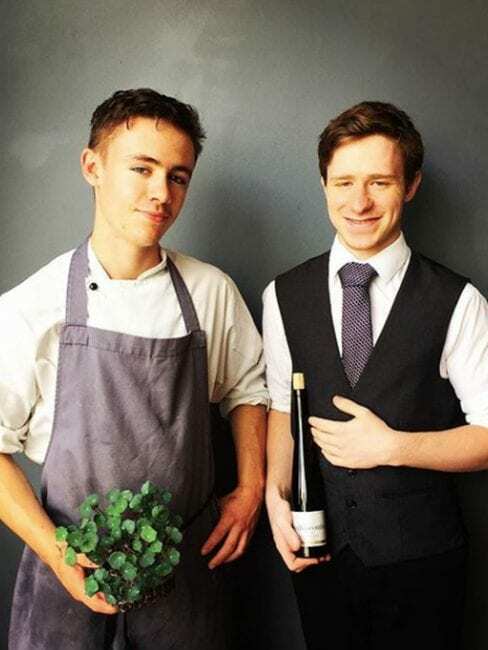 This year we welcomed Aiden into the kitchen, with Colin joining Alex to manage Front of House. 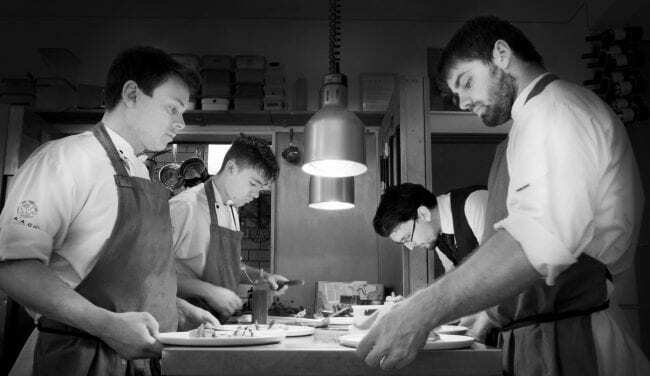 Our dedicated and ambitious team is what makes our concept what it is, allowing us to deliver some innovative dishes and ensuring our service is up there too. Without our suppliers, we wouldn’t be able to deliver the type of dishes we do, as for us, it’s all about the quality of the ingredient you start with. 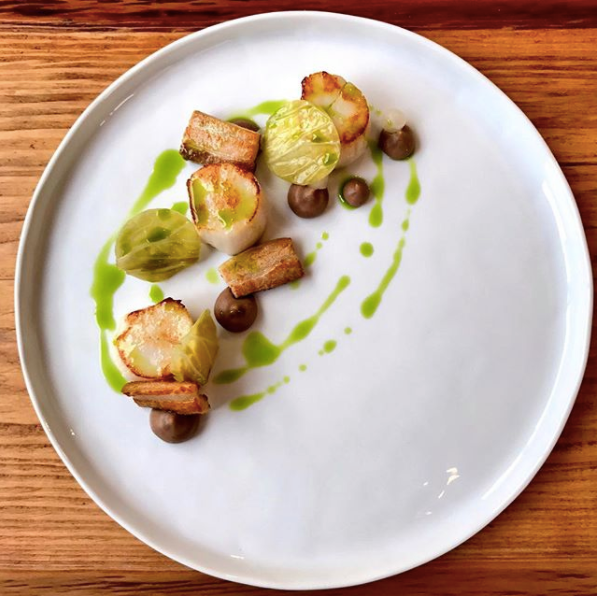 We try to use simple cooking techniques and flavours to showcase the produce in the best way. This year we had the opportunity to work with Trenchmore Farm for an event for the Brighton & Hove Food & Drink Festival and we’ve continued to work with them ever since. Isaac and the team continue to support Brighton Met College (previously City College), by mentoring students during prep and service at The Gallery restaurant. 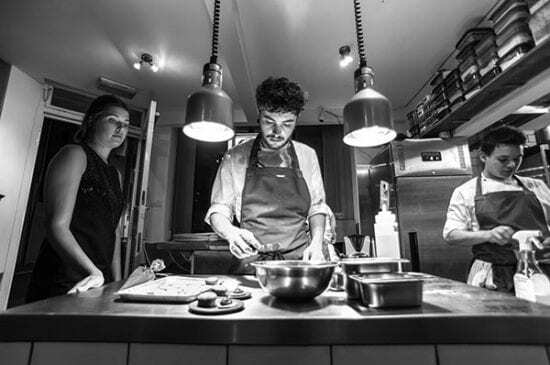 Isaac and Alex will be heading there on Tuesday 9th January to help them prepare and deliver a Sussex Tasting Menu too. There may be some tickets left to join them if you’re quick! It’s really important for us to get out and explore Sussex as much as we can, as the local bounty is what inspires the dishes we create. 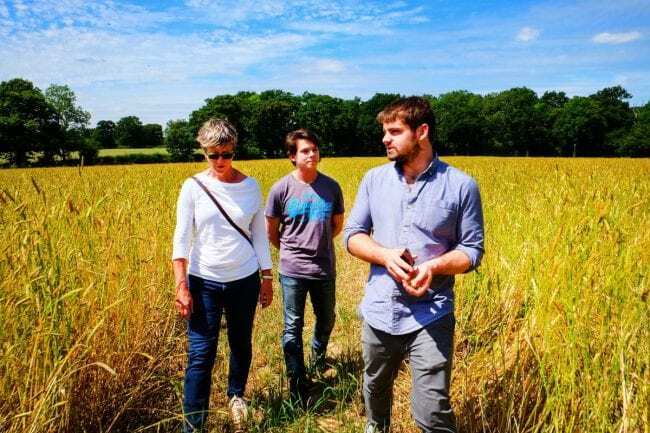 This year we made sure we took some more time away from the kitchen to explore, forage and visit more of our suppliers. Visiting Nyetimber was a particular highlight! If you joined us for our OctoberBest Brighton Gin & Dessert Bar, then you’ll know how much fun we had adding this concept to our menu! 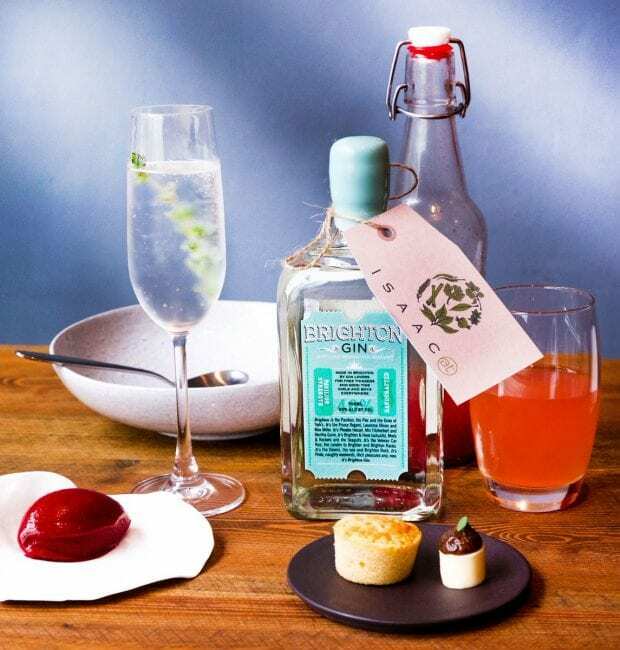 We created a menu of three desserts and two Brighton Gin cocktails, all for just £20pp. We love working with local producers on events like this, so watch this space for more to come in 2018. We also hosted a wine tasting evening with Brighton Wine Co, which was a great way to showcase some of the best wines from our exclusively English wine list. It’s been tough picking our best bits, as we have a lot of fun in the kitchen every day. We’ve got a lot of exciting things planned for 2018, so we’d love to see you in the new year and hear what you think of the new additions to our tasting menu. Bookings are now open for January and February.